The importance of teaching global competencies is reflected in the international opportunities at the UC Davis School of Veterinary Medicine, from which Carolina Vicario just graduated. 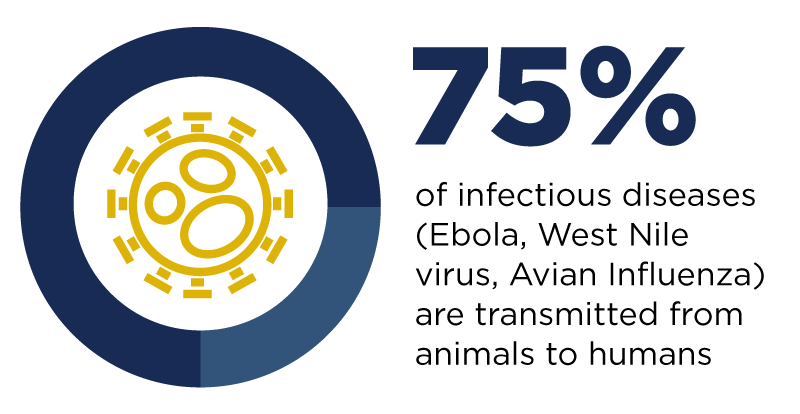 During her schooling, Vicario did veterinary work in Nicaragua and South Africa, collaborating closely with the internationally focused One Health Institute. As a leader on the Nicaragua trip, she developed a unique perspective on the educational, professional and personal benefits of traveling abroad. I was excited to speak with Carolina about her experience working in different cultures, and how it has shaped her personal and professional goals. Q: When did you decide to join the Students for One Health Club? A: I went to a lunch talk during the first few weeks of my first year in veterinary school. Some second-year students were presenting their new student-run interdisciplinary One Health project in Nicaragua. Their guiding principles of cultural sensitivity, information-exchange rather than unidirectional teaching, and sustainability resonated strongly with me. I had previously shied away from some international health care opportunities because I was embarrassed by the social impact they caused, often perpetuating perceptions of Americans as arrogant, entitled and self-serving. I later became one of the student directors of the Nicaragua project, which is still active today. 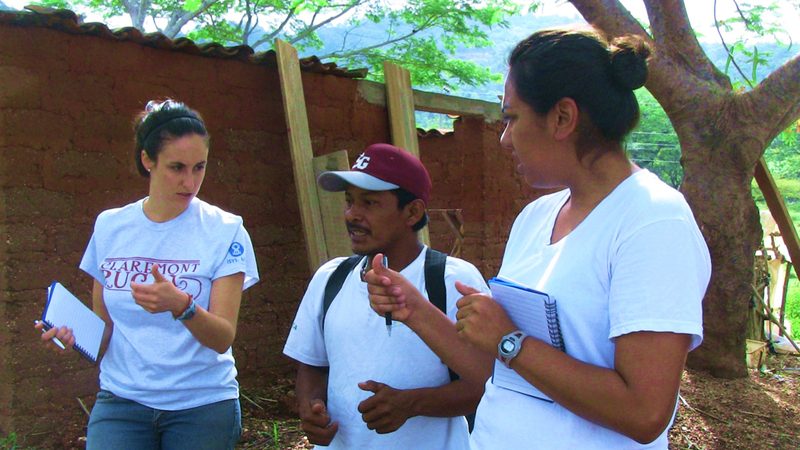 Q: How did you prepare for the work you did in Nicaragua with Students for One Health? A: I reviewed past projects, who the community leaders are, and what is important to them. I also prepared by learning the social norms — how to fit in and be respectful. It is OK to stand out for being different because as a visitor you are different, but by “fit in” I mean honoring social codes, language, customs, dress, manners and making an effort to learn Spanish. The group leader the year before me, who started this project, had a document that community leaders in Nicaragua had sent her. It had information on all of the women in the community who had signed up to host foreign students. I made sure I knew everyone’s names before I went, and I think that made a big difference. Q: You were a project leader in Nicaragua. What do you think were the biggest challenges for students? A: The trips were emotionally, mentally and physically demanding for everyone, and the preparation throughout the academic year was time intensive. Some opted not to return for a second trip. It’s important to honor that. People should be involved in activities because they want to be, and not due to external pressures, because that doesn’t produce good work or feel good for the participant. You can’t always prepare for things you haven’t seen or experienced, so you have to allow yourself the time and privacy to sit with those feelings on a daily basis during the trip. Being raised in affluent regions of the U.S., it can and should be difficult to witness hardships that other communities face. Q: Have your international travels affected the way you approach your developing veterinary career? A: In school we get into the details of things like tertiary referral cases, advanced imaging and advanced disease. Then you go to a place where basic vaccines and anti-parasitics would make such a big difference. I just thought, “Wow, I’ve been over-trained in really fancy stuff and under-trained in how to make things practical.” It’s a reality check in terms of what veterinary medicine would look like elsewhere. I don’t know exactly what that will be. I have a strong interest in the Wildlife Epidemiology Ph.D. at UC Davis, but before I enroll I want to be clear what my goals are and what type of project I would pour my heart and soul into. I feel a deep-seated calling to work in wildlife conservation and global health, and as I look for opportunities, I am open to how that path will unfold. Q: How do you think, moving forward and practicing veterinary medicine, these experiences abroad have shaped you? A: South Africa in particular left me feeling frozen and hyper-self aware on various occasions. The value was in waking up with a peek into a significant part of our world’s rich human history, wildlife biodiversity, endemic diseases and resource management. As a human, I feel like it is absolutely necessary to make an effort to experience that. Once I did, I was able to better appreciate what it could add to my life. I really want to go to new places and see how they make me feel. I think traveling has broadened my horizons. I want to maintain California as my home base but definitely see what else is out there. I want to feel more like a global citizen based in California rather than an American first. I want to feel like I am human first and a Californian second. Leila Haghi ‘16 is an intern at the Office for Global Programs.